Axies Healthcare has the broadest range of surgical and examination gloves available in the market. It also specializes in customizing protective non-woven apparel as per the specifications provided by clients. The Brand name ‘Axies’ is truly synonymous with premium quality, optimal protection and superior comfort. 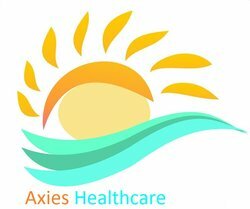 Axies Healthcare as the name implies has been started with an endeavor to provide the best in the medical, Hygiene, disposables industry non-woven Products. The core product range comprises Examination Gloves, Surgical Gloves, Nitrile Gloves, Vinyl Gloves, Bouffant Caps, Tie on Masks, Non Woven Shoe Covers, Surgeon Gowns And Caps, Blood Collection Tubes, Lab Coats, Poly Shoe Cover,etc. The entire product range offered by us is made with utmost precision utilizing the best grade factor inputs at our vendors’ end. We offer this assortment in a number of specifications that suit the diversified needs and requirements of our esteemed patrons. Clients can avail these products from us at the most affordable price range.